Global futurist Jack Uldrich is confirmed to the annual talk for the Bank of the West Special Speaker Series. His keynote will focus on the twelve trends transforming tomorrow. Blockchain, “Big Data”, chatbot, peer-to-peer lending and digital cypto-currencies will drive seismic change and deliver paradigm-shattering transformation to nearly every facet of society, including banking. 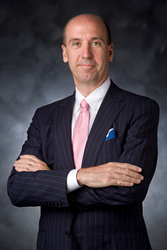 The SW Graduate School of Banking will host global futurist Jack Uldrich as a keynote speaker for the Bank of the West Special Speaker Series for 2016. Highly regarded for his speaking, writing and research Jack Uldrich travels the world delivering keynotes and workshops on future-proofing, change management, and the transformation of health care, agriculture, education, energy, finance, retail and manufacturing. His future of technology presentation "The Big AHA: How to Future-Proof Your Business Against the Twelve Trends Transforming Tomorrow" will be delivered on Tuesday, June 7, at 7:00 p.m. in the Crum Auditorium at the Collins Executive Education Center during the SWGSB 2016 Session. In January, Uldrich helped kick off the SWGSB's Distinguished Speakers Series in Hawaii. There he delivered his keynote, entitled "Business as Unusual: Preparing for an Uncertain and Unpredictable Future" to The Southwest Graduate School of Banking Foundation's 142nd Assembly for Bank Directors. His clients in the financial sector include Banamex, Global Atlantic, TD Banks in the US and Canada, Invesco, Thrivent, Coulee Bank, Signal Hills, Stockbridge, Questar Capital and Farm Credit Bank of Texas, and The University of Wisconsin's Graduate School of Banking, among others. 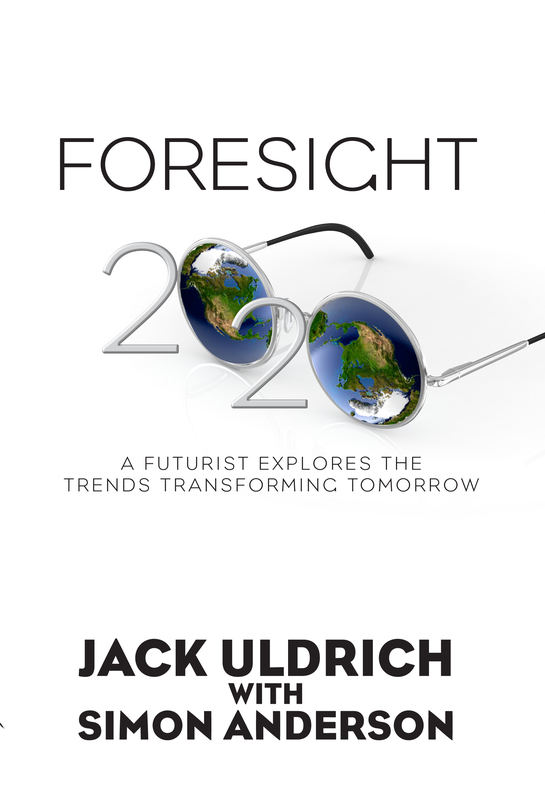 More great insight into "business as unusual" can be read in this chapter --The Future of Banking: Customers Pocket the Change of his most recent book, "Foresight 2020: A Futurist Explores the Trends Transforming Tomorrow." When it comes to future-proofing banking Uldrich says, "Consider this: Eight years ago Facebook, YouTube, Twitter and Wikipedia were relative newborns; and iPhones, iPads, apps and the Kindle Readers didn’t yet exist. Now, fast forward a few years into the future and try to comprehend how accelerating advances in information technologies like Artificial Intelligence, gaming dynamics, nanotechnology, Blockchain, “Big Data”, chatbot, peer-to-peer lending and digital cypto-currencies will continue to drive seismic change and deliver paradigm-shattering transformation to nearly every facet of society, including banking." Parties looking more information on Jack Uldrich's upcoming engagements, or availability as a speaker are encouraged to view his website.